The Queen is off the lake. Due to lack of ice and other reasons the Queen has moved. 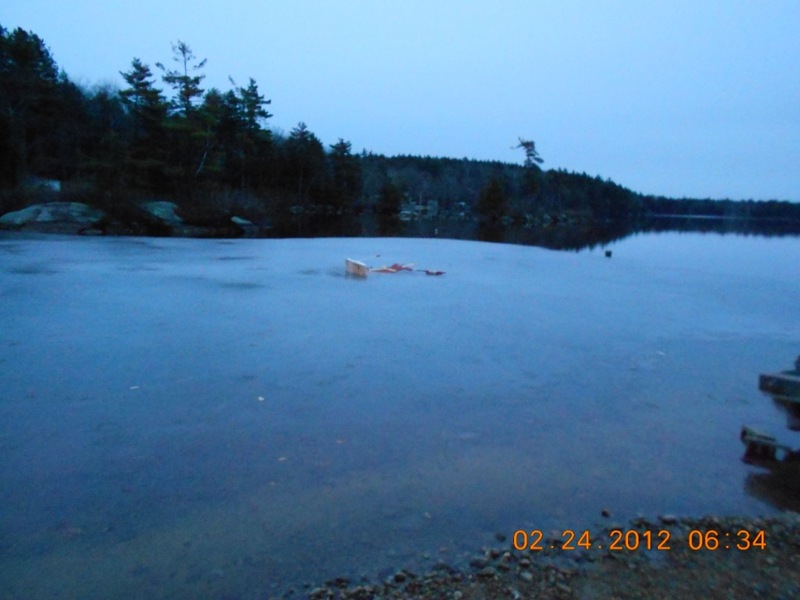 On 2-18-12 Queenie sat on 6" of ice. The Queen is down. At about 8:24 pm February 23, 2012. Unless we get cold weather and the lake freezes by March 3, 2012 so we can put the Queen back on the ice we will have a drawing for the prizes on March 4, 2012 as per the offical rules.